The Garcinia Cambogia free trial scam is not new. 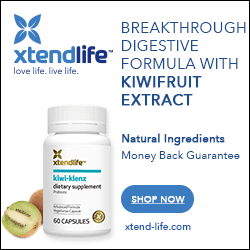 The same scam has been used to promote hundreds – probably thousands – of weight loss supplements, super foods, super fruits (like acai and mangosteen) – just about any popular nutritional supplement that has gained some mainstream appeal. Of course, anything that gets featured on the Dr. Oz show is a perfect candidate for such a promotion because of the wide, main stream exposure and immediate buzz such a mention generates. Such is the case with the Garcinia cambogia free trial scam. Despite it being neither new or particularly effective for weight loss, it was featured on Oz’s show in 2014, and the Internet has been inundated with it ever since. On the Surface, Free Trials Seem Great! The free trial is appealing because on the surface it appears like the ultimate demonstration of a retailer’s confidence in their products. After all, if you had a product that didn’t work, why would you let people try it for free? They certainly wouldn’t reorder, would they? Unfortunately, the reality is far from the case. The only reason why retailers use this tactic is to add you to an auto ship program (this also called a “recurring billing” program, or “negative option billing”, where you are shipped a fresh bottle of product every month and your credit card is charged accordingly). Of course, while the product is free, you will have to pay a nominal shipping and handling charge. That’s how they get your banking information. It’s in the Small Print. Now, in almost every case that we’ve investigated over the years, the retailer does reveal your participation in this program somewhere on their website. Sometimes it’s buried in tiny print in pages and pages of their terms and conditions documents and sometimes it’s present in small print on the actual order page. We’ve found that in most cases, consumers simply don’t see these notifications. The retailer will offer you 7 to 10 days worth of product to try after which time you will be added to a recurring billing program if you do not cancel your “membership” in time. You’ll find that because you missed the “real” cancellation date, a fresh bottle is already on its way. If you check your credit card or bank you’ll see a new charge there too. So you return the bottle you didn’t order and didn’t want. And, just when you think everything is all taken care of, a new bottle will show up. Now you’ll have to call them again. And when you finally get an unfriendly, unhelpful, and irritable’s customer sales rep, you’ll find there will be no record of you canceling your membership or returning that first bottle. At this point, we recommend hanging up the phone and calling your bank. There is no point trying to resolve the issue with these merchants (“merchants” is not the word I would like to use here, but I’m keeping it PG rated) because they do not care about you or your best interests. What they are trying to do is keep you running in circles past past the 60 day mark, after which time most credit card companies will no longer process chargebacks. How To Make the Bastards Pay! Phone your credit card company and attempt to do a “charge back.” Tell them this is a “card not present transaction” and you did not authorize the charge. If you used a bank card, call your bank, cancel the card, and have them issue a new one. Seriously. You will continue to be billed if you do not. Do your best to make sure everyone knows about these dirt bags. Share your experience on RipoffReport.com (which now shows over 300 posted complaints on Garcinia scams) and PissedConsumer. And of course, share your comments below! Contact your state’s Attorney General. In Canada, contact Health Canada. These deceptive tactics are illegal in some jurisdictions, and the retailers may be charged! Use the social media links below to share this article with your friends, family, colleagues, and co-workers. Let everyone know about the scam and how it works. If everyone knows, no one will be scammed again! Excellent post. 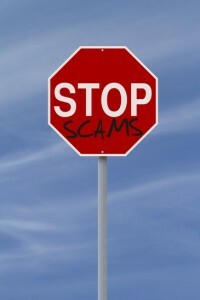 I have included a link to your article on my blog post on the garcinia cambogia free trial scam. That is excellent advice that you have given on what to do if you’re a victim of this scam. I actually fell for this scam myself over a year ago. I called the scam company to cancel a couple of days after placing my order. I ended up getting the garcinia cambogia supplement that had been shipped to me at the reduced price of $19.99, which is what I would have paid for purchasing garcinia cambogia from a reputable company such as Amazon.com. The garcinia cambogia supplement that was sent to me by the scam company was an inferior product, however, containing over 200 mg of caffeine and gelatin as a filler. Thanks for the informative post and helping to spread the word to consumers about this type of scam. Thanks Chris! I appreciate your comments and hearing about your story as well. Stefanie… I think you should be OK if they can’t recharge the card.